Fall is the most beautiful season in Hanoi. The temperature hovers around 25 degrees Celsius (77 degrees Fahrenheit) and the leaves are changing color. But the real show can be found on the Yen River. 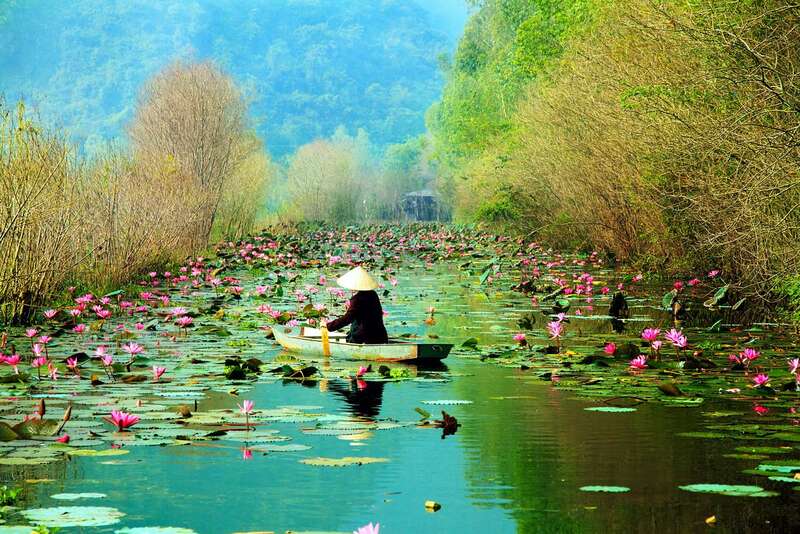 On the way to the Huong pagoda, water lilies on the water’s surface make the journey absolutely fabulous.